Kamchatka Peninsula is located on the far eastern side of Russia and is known as the mother of all wilderness fly fishing regions. 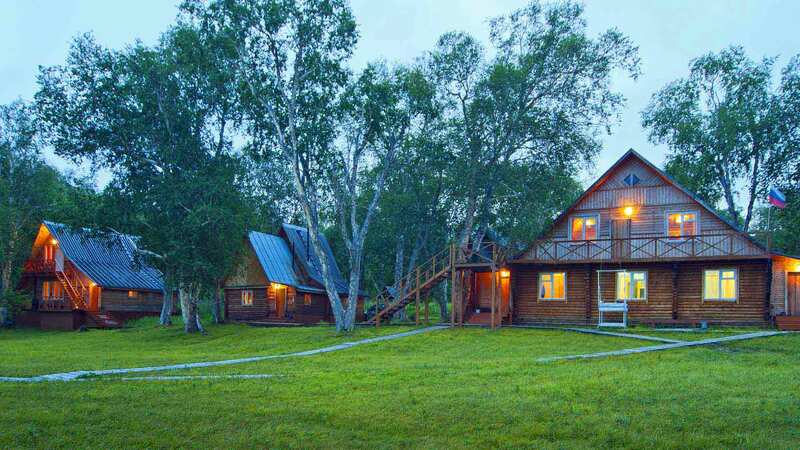 Wildly attractive to anglers with an adventurous side Zendzur Hot Springs Lodge sits on a shoulder of the lower Zhupanova River. 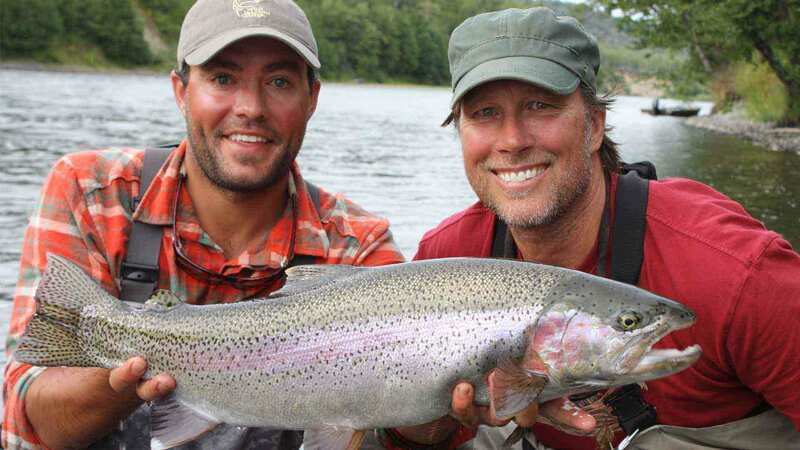 Exceptionally large rainbow trout, untamed wilderness, and deluxe accommodations define this top-notch fly fishing expedition. Anglers at Zendzur target trophy-sized rainbow trout that average 24 to 26 inches, reaching up to 35 inches. The policy of catch-and-release ensures the sizes will continue to be impressive. These rainbows crush skated mouse patterns, swung streamers on sink-tip lines, and, occasionally in July, traditional dry flies. From late-July through August, huge Asiatic kundzha char also pour into the river from the North Pacific. They take flies well and put up a strong, charging battle. Sea-run dolly varden char are available all season and average 12-18 inches, run in massive schools, and readily take dry flies. 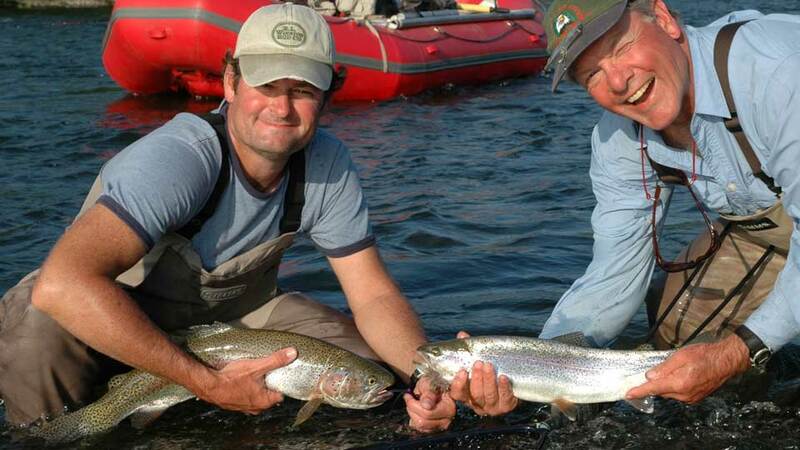 As a bonus, anglers in late-August and September will have the opportunity to catch chrome-bright silver salmon. Zendzur Hot Springs Lodge is home to a fabulous on-site natural hot-springs enclosed in a banya cabin just down from the Lodge on the riverbank. 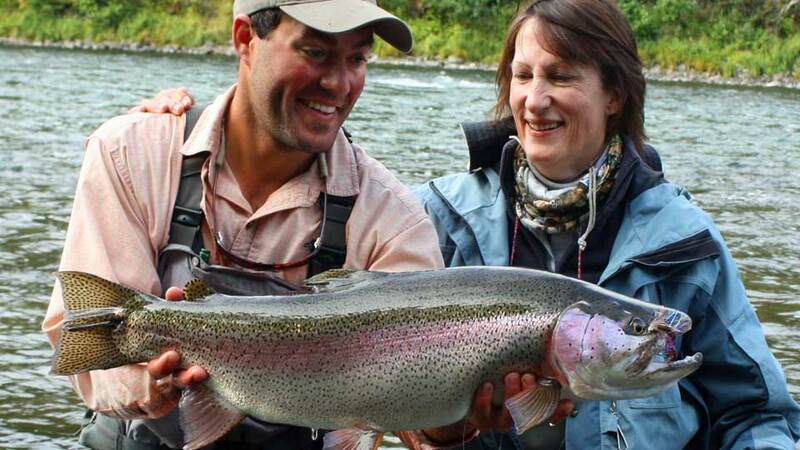 The Season: The Lodge is open from mid-July through mid-September for peak fishing. Mid-July: This is the warmest month of the year in Kamchatka and typically has the most reliable weather, with daytime temperatures between 60 and 80 degrees. There are no salmon in the river at this time, but sea-run dolly varden do show up toward the end of the month. By the last week of July, the famous "Super Kundzha," a sea-run char species found only in the Zhupanova River, begin to pour in from the sea. August: Chum and sockeye salmon enter the river. 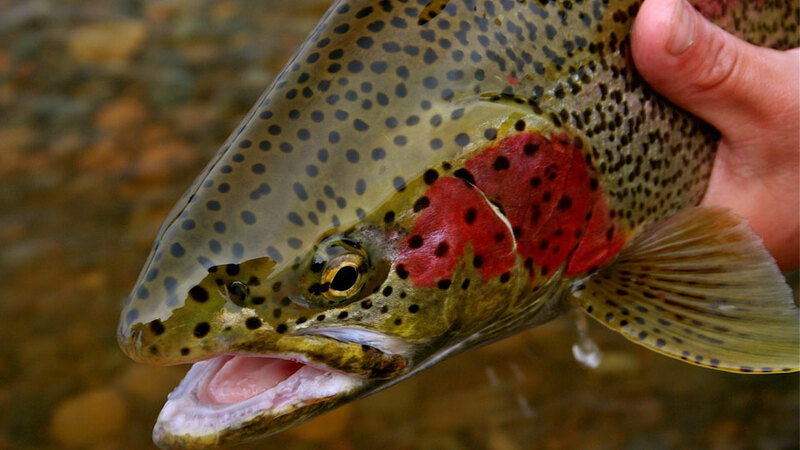 Rainbows are targeted with mouse and streamer flies throughout the month. The first two weeks of August, too, are the peak time to intercept the Super Kundzha. September: Fall begins in Kamchatka. It can be chilly, in the 50-degree range. Sunny weather makes for beautiful fishing days but brings with it frosty nights. It is also the most photogenic time of year to be amid the subarctic taiga and tundra foliage as it turns to blazing yellows, reds, and oranges with a backdrop of snowcapped volcanoes. Trout are taken with surface skaters and with "big nasty" leech and baitfish patterns. The latter, fished on a sink-tip line, become more important as water temperatures drop. The Boats: The Lodge uses Alaskan-style 18’ aluminum skiffs, powered by 40-HP 4-stroke jet motors. Two anglers per guide and boat are shuttled from wade-spot to wade-spot. Most anglers prefer to wade-fish, but for those that prefer to fish from a boat, the guides are very accommodating. Fishing License: are $100.00 per week and are not included in the package. The license fee is paid in cash upon arrival in Petropavlovsk. Fishing Equipment: is not included in the package. A comprehensive gear and tackle list is included in our confirmation packet. Guides: The program employ a guide rotation system, so each group of two anglers spends two days with each guide. Staff consists of one Western Guide and two seasoned Russian guides. Fly fishing is a relatively new sport in Russia, and the guides come equipped with varying levels of pure fly fishing knowledge. Some are exceptional, having been with the Lodge for 10 or more years. Others have been brought onboard for their skills as woodsmen and watermen. 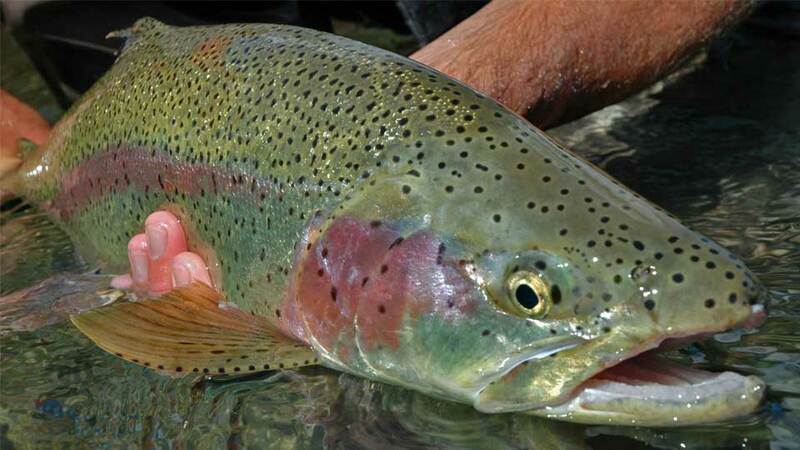 While their technical abilities are evolving, they are in rhythm with the lives and habits of rainbow trout. Shore Lunch: Each day on the river, guides prepare a shore lunch of fresh salmon or char, plus bread, meats and cheese, fresh fruit, and vegetables. • For midnight-sun junkies there is a modest sized home pool in front of the Lodge. 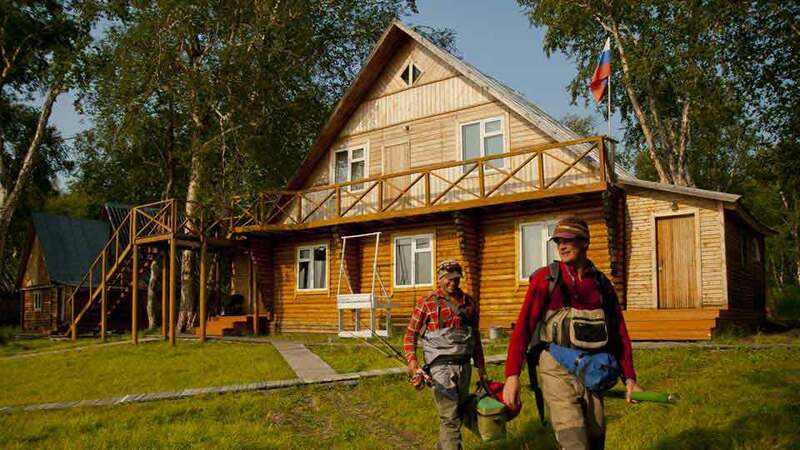 Zendzur Lodge, a traditional Russian wilderness outpost, caters to a max of six anglers per week. Though the Lodge is remote, the accommodations are comfortable. Four suites with private bathroom and an entry/wader area. There are also two cabins and a separate dining hall. The Lodge is home to an on-site natural hot springs, which is enclosed in a sauna cabin on the riverbank near the Lodge. Meals: Excellent regional cuisine and some familiar fare. Savory seafood dishes, fresh fish and meat, home-baked bread, pastries... When salmon and dolly varden are in season, hot shore lunches are served daily on the river. The Lodge provides up to three bottles of beer per person, per night. Additional beer and vodka are available for purchase. 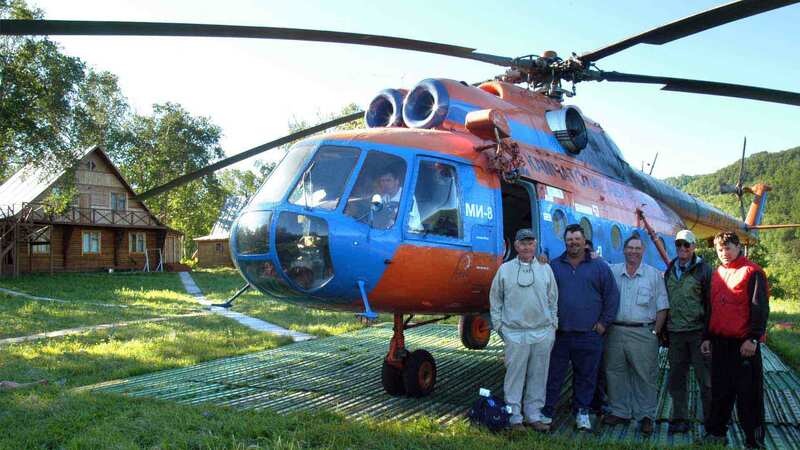 All ground and air transportation once you are in Kamchatka, all meals and accommodations at Zendzur Hot Springs Lodge, and guided fishing. Airfare and travel expenses from your home to Kamchatka, a Russian Visitor’s Visa, any hotel stays and meals en route to the Lodge, alcohol, gratuities, fishing gear, flies, a fishing license ($100.00 per week/p.p. ), gratuities $800 to $1,000.00 per week, medical evacuation insurance (required), Signature Travel Insurance, and anything not mentioned under inclusions. Payments are non-refundable. (We highly recommend the IMG Signature Travel Insurance package which includes Trip Cancellation Insurance.) 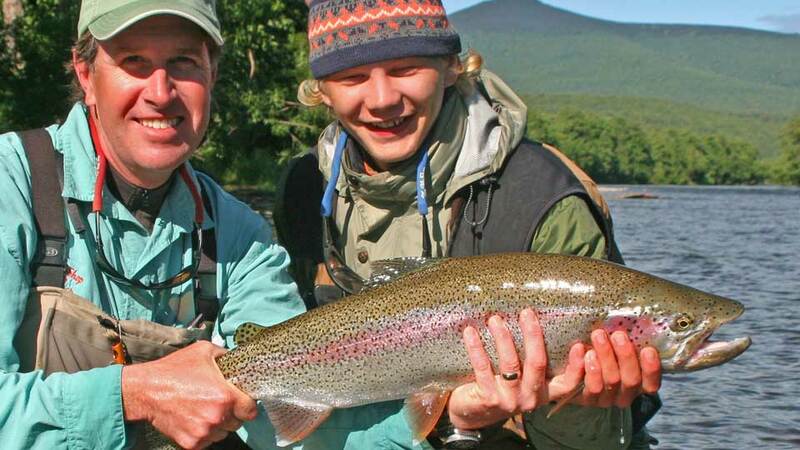 Kamchatka lodges are small, the season is short, and the angler capacity is very limited. The non-refundable cancellation policy is an industry standard. 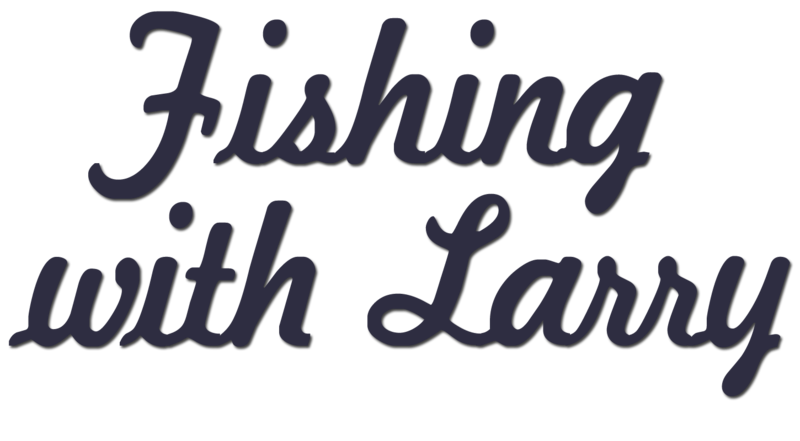 Should a cancellation be necessary, every effort will be made to help locate a replacement angler; however, it is ultimately the canceling angler's responsibility to find a replacement. Finding a replacement on short notice can be very difficult and at times impossible. In the event of a cancellation, please notify us immediately. If a replacement is arranged, a service fee of $150.00 will be charged. Payments made on credit cards will further be charged an additional 3.5% service charge to compensate for bank fees incurred. Receipt of deposit and/or final payment is an acknowledgment that you have read and accepted the payment, cancellation and refund policy. Our advice is free. We never charge more than the Lodges we represent.